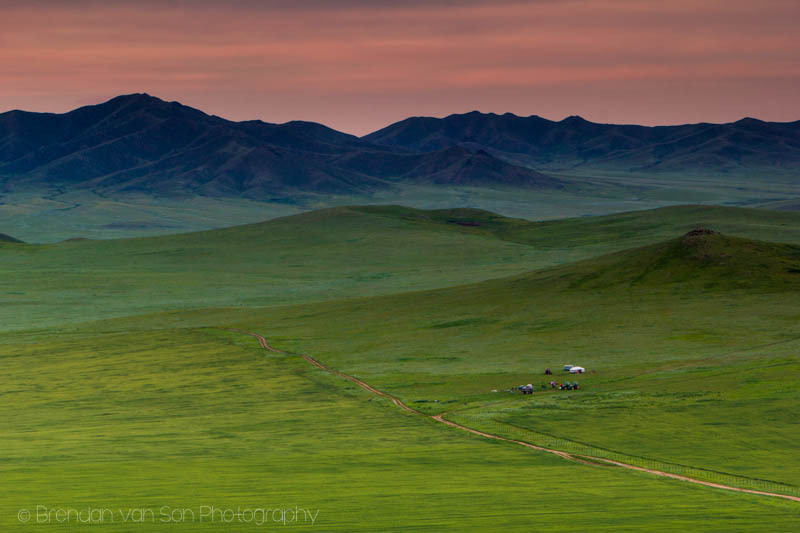 Man, Mongolia was exactly what I expected it to be. How often does that happen? So many times before I’ve gone to countries expecting them to be a certain way and to have my perception completely flipped on its head. 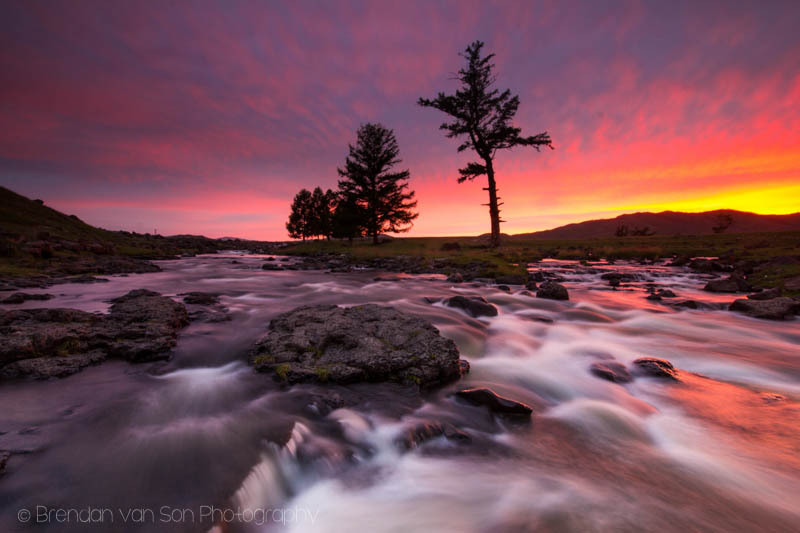 Not Mongolia, it was as advertised – tough, rural, and 100% stunning. Since we only had limited time to tour Mongolia, though, we were kind of short of being able to do and see all the things we wanted to. 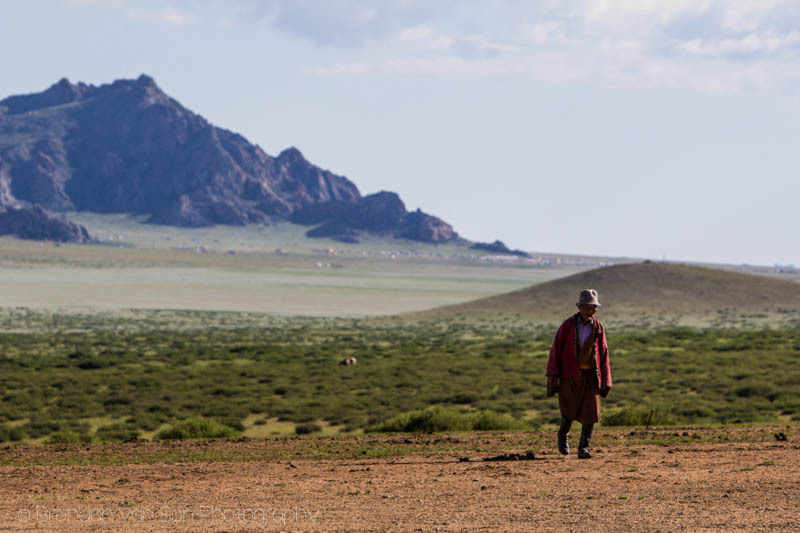 Our first visit, of course, was down to Southern Mongolia and the Gobi Desert which we did with SunPath Tours. Since we had such a good time the first go-round, we decided to use them again for a trip into the center of the country. 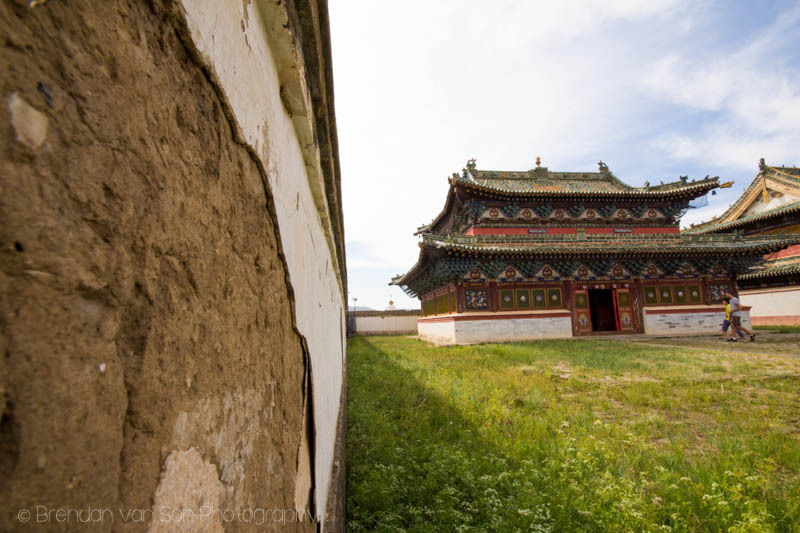 Highlights of the trip into Central Mongolia included seeing the ancient capital of Kharakhorum and its interesting Buddhist monastery. 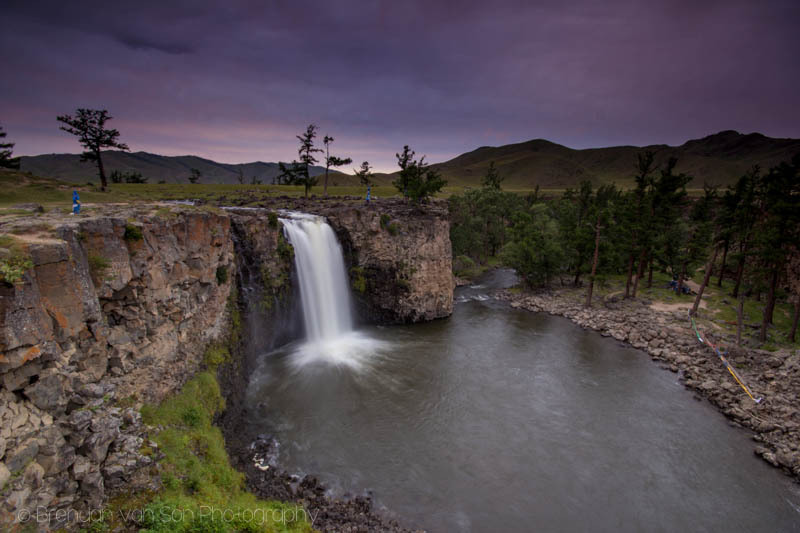 As a travel photographer, the highlight for me was Orkhon Falls, it was absolutely stunning and nothing what I was expecting to see in this country. 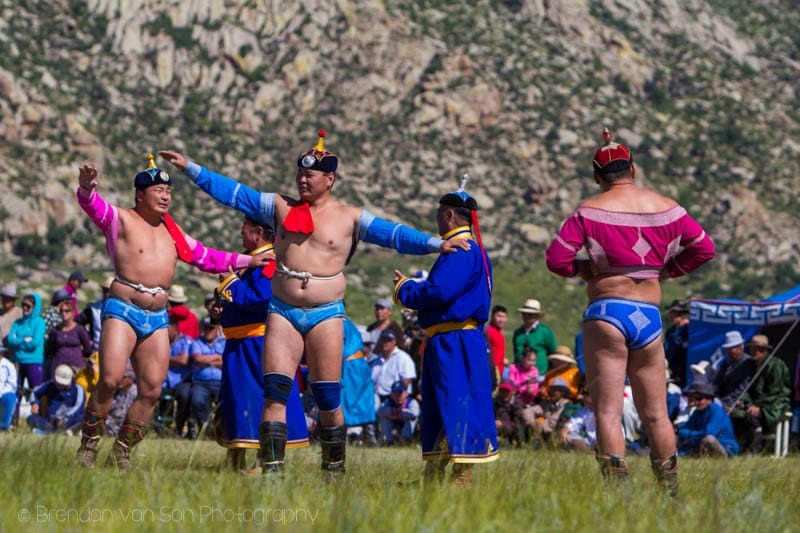 We also got a bit of a treat in seeing a local Naadam festival in the Semi-Gobi desert on the way back to Ulaanbaatar. 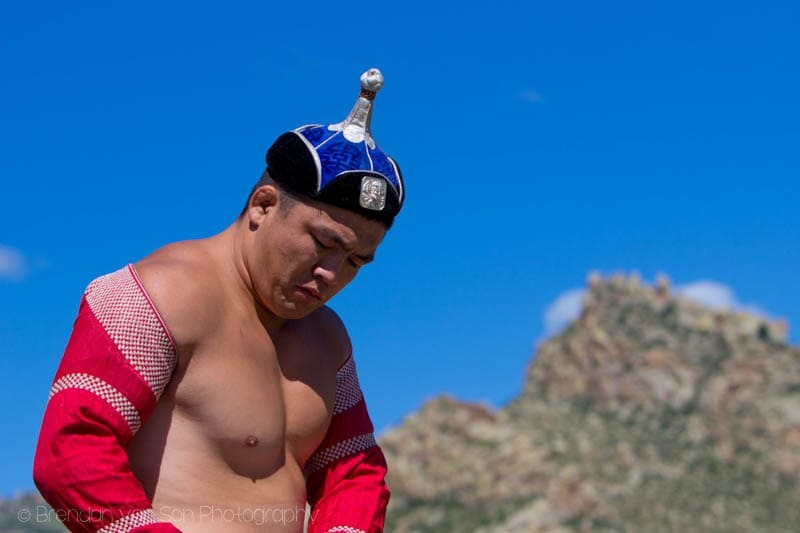 At the big Naadam festival in Ulaanbaatar, we didn’t get up close to the wrestlers, so doing so here was awesome. 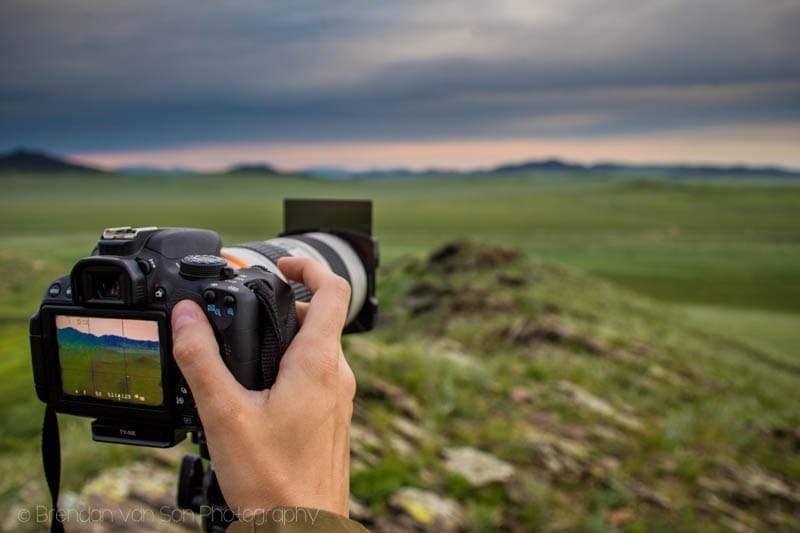 Anyways, check out the video below to see what I got up to in Central Mongolia. Also, if you’re interested, there’s some information on the region below. 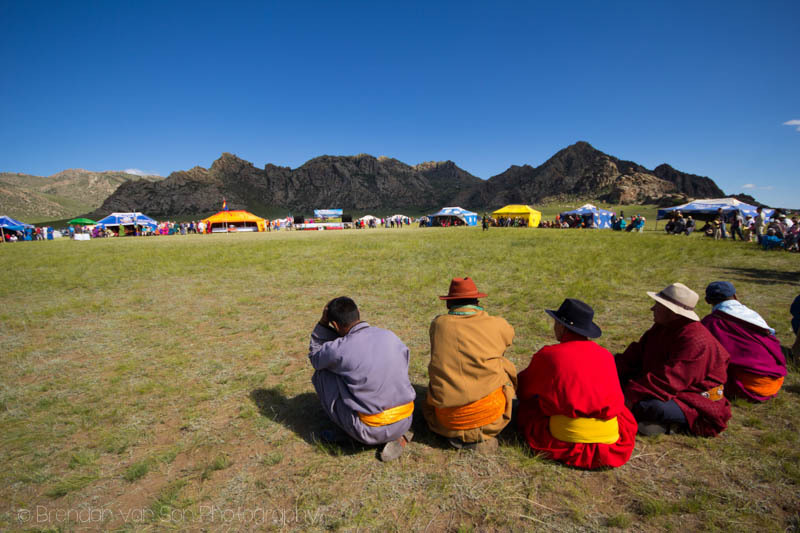 As I mentioned in the intro, we went with SunPath tours to Central Mongolia. Unlike our trip to Southern Mongolia, I’m convinced I could probably do this trip on my own with a rental car. The terrain wasn’t quite as crazy, and I think a car could have done it. 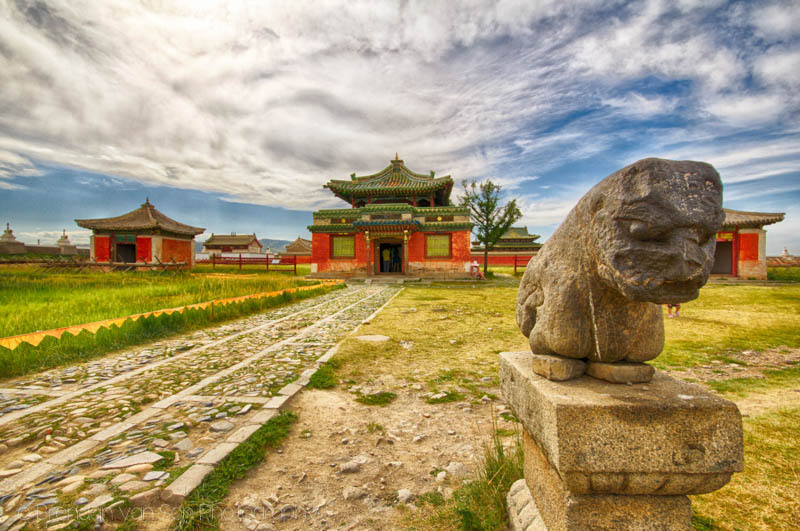 However, a rental car in Ulaanbaatar costs about $70 per day with Sixt, so a tour is about the same price anyways. We paid $55 dollars a day with SunPath which included our accommodation, food, and excursions. It’s pretty good value, if you ask me. Of course, other companies will charge between $70-90 per person depending on how many people are in the group. On our trip in the south, we stayed with local families a lot more. On this trip, we camped one night, and spent the other nights in touristy ger camps. I would have much preferred the more local experience, but the ger camps are OK too. That said, we got stuck one night next to a ger camp that thought it was OK to turn the Orkhon Valley into the world’s loudest nightclub. We finally convinced them to shut down at 1am. Otherwise, it was all good. 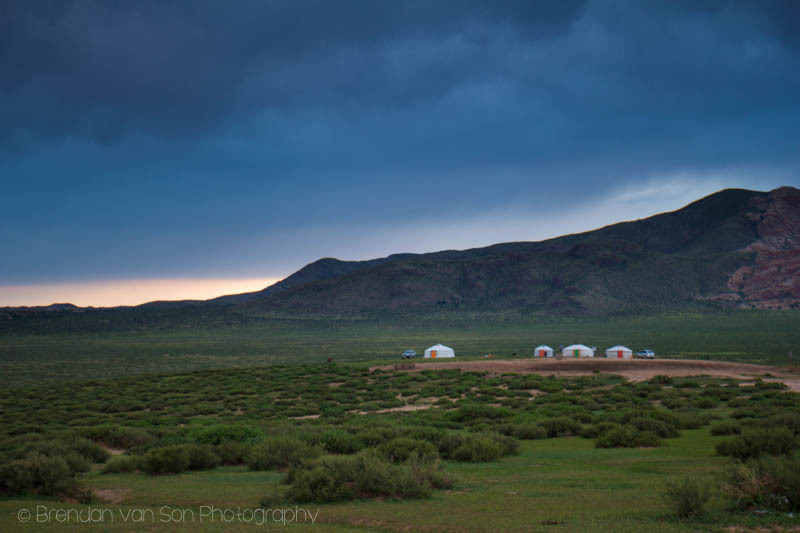 Our ger camp in the Semi-Gobi. Again, this trip varied slightly from our Gobi trip. On the first trip, we ate lots of local food at small restaurants and with families. 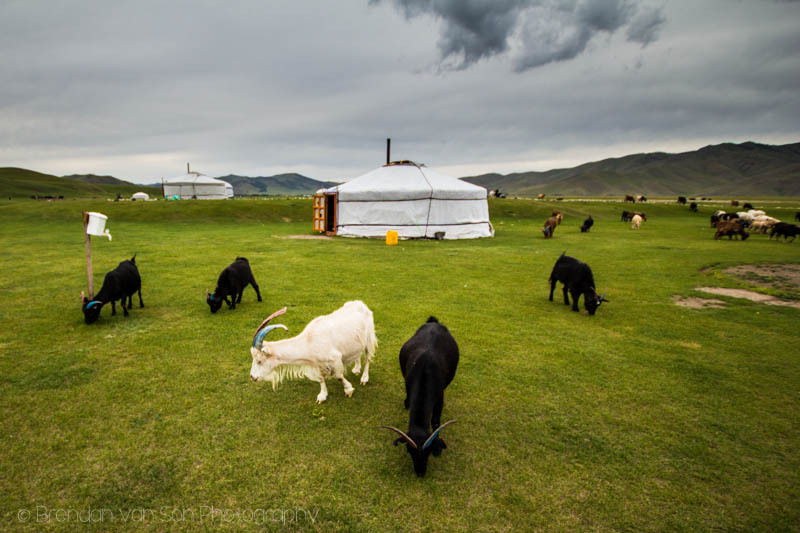 On this trip, the guides cooked much more which meant that the food had more vegetables, but was certainly not as “Mongolian”. Again, I would have preferred the Mongolian foods we had on the first trip. Still, the food is good and credit has to be given to the guides who whip up nice meals on the road. 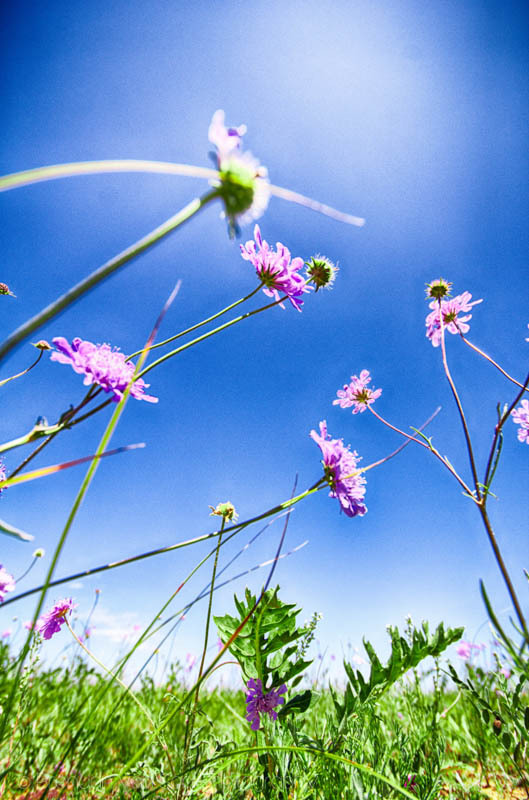 Wildflowers in Hustai National Park shot in the “Worm’s Eye View” style. 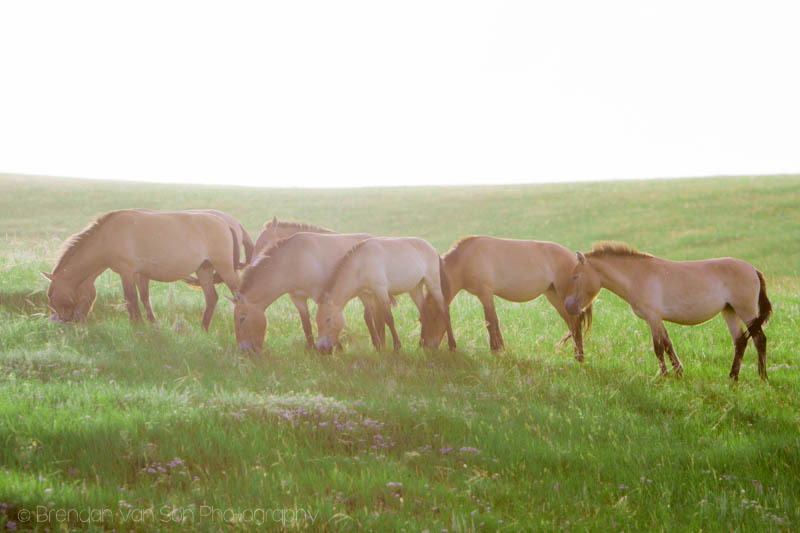 Wild horses in Hustai National Park. A single wild horse in the park. Got some really tough head on light, so I tried to use it to my advantage with this style of image. This was the view from our camp site on the first night. Not bad, right? 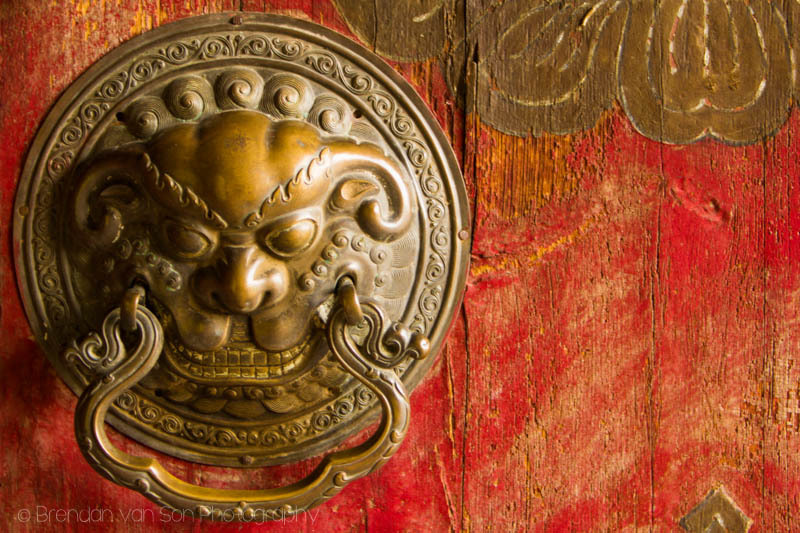 Awesome door handle on the monestary. 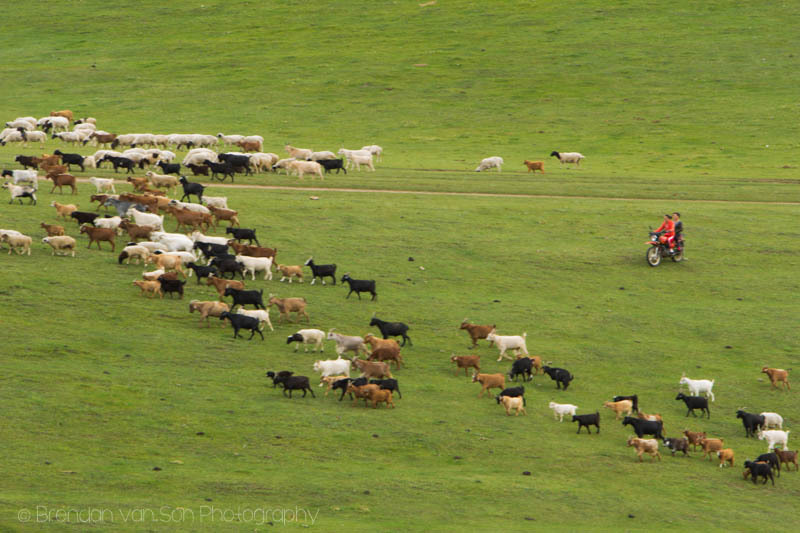 Man herding goats on his motorcycle in Orkhon Valley National Park. Gotta love yaks. Like hug-able cows. Love the ger life. Just wish they would get some wifi out there. 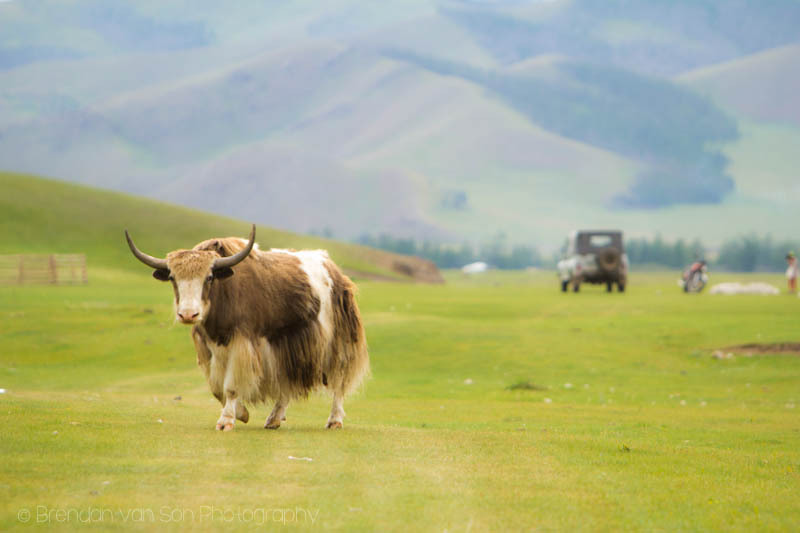 Love yaks. I want one. 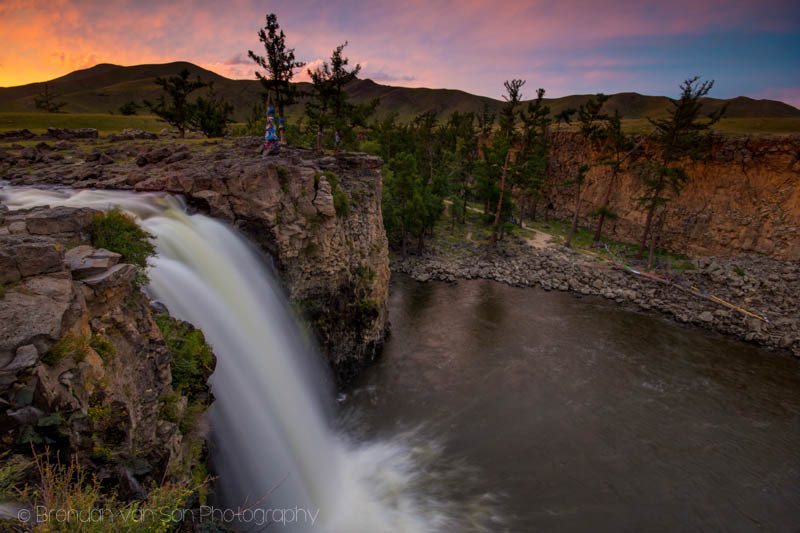 This was such an awesome place to shoot. We also got some of the best light for photography I could ever want. Loved the light on the river above the falls, so I had to race up for a couple shots here too. How crazy is that sunset? I wanted to get a bit of a foreground in this, too. A bit messy, but it works. Hand to basically hang on the cliff edge to get this shot. So worth it. One of the family members of the ger camp we stayed with in the Semi-Gobi. 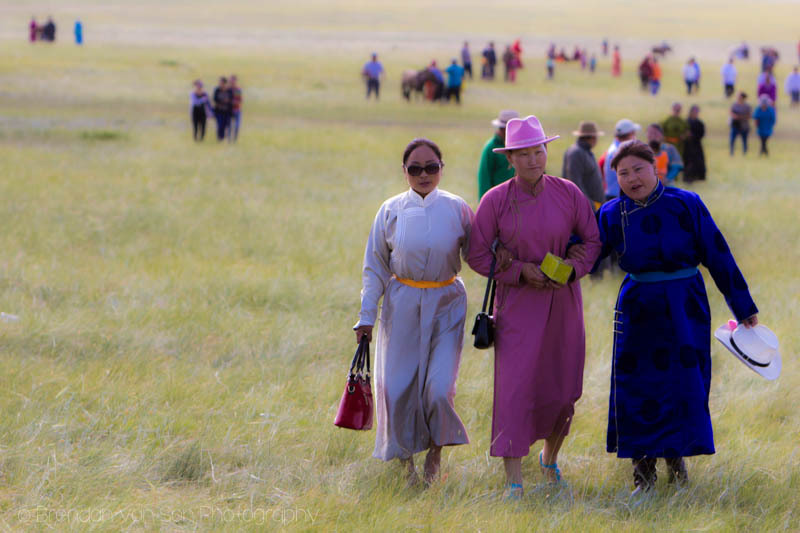 Some ladies on the way to watch the wrestling at the Naadam festival. 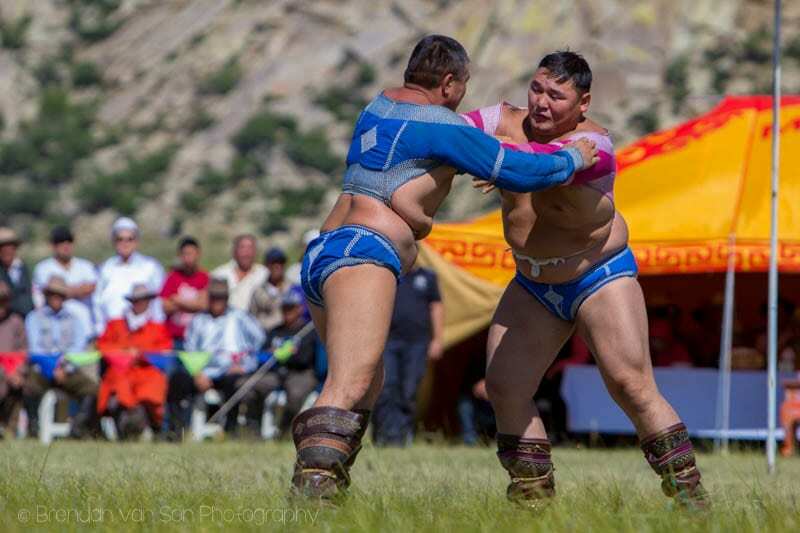 Some local men getting ready to watch the wrestling. This is called the eagle dance. It’s performed right before the wrestlers do battle. 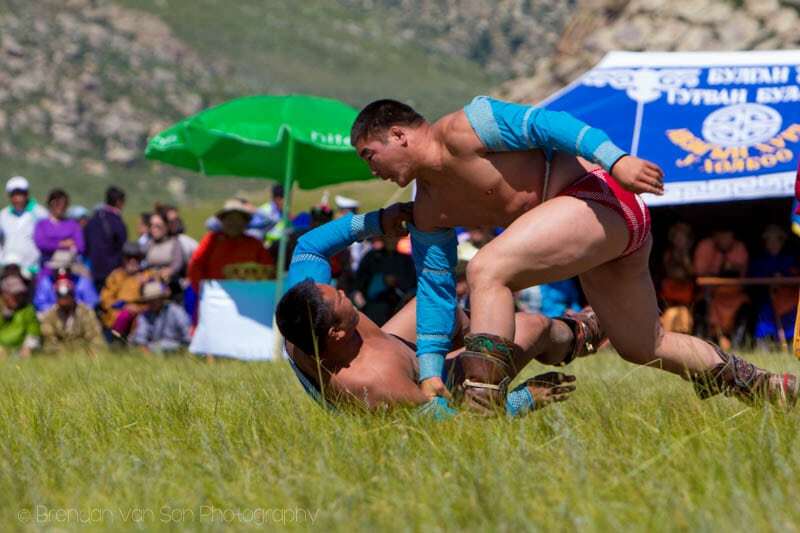 Wrestlers doing battle at the local Naadam. I’m off to Switzerland! I’m so excited to be heading back to the western world after 8 months in Asia. I’ve got some catching up to do, but I’m sure I’ll get some cool content up from places like Lucerne, Bern, and maybe some places in the Alps! Stay tuned. Brendan, you’re accolade from USA Today is so well deserved and this post is just one of many to prove that – terrific photos! I’ve been told the wild horses are everywhere, and the yaks aren’t difficult to locate either. Definitely sites I’d love to experience. 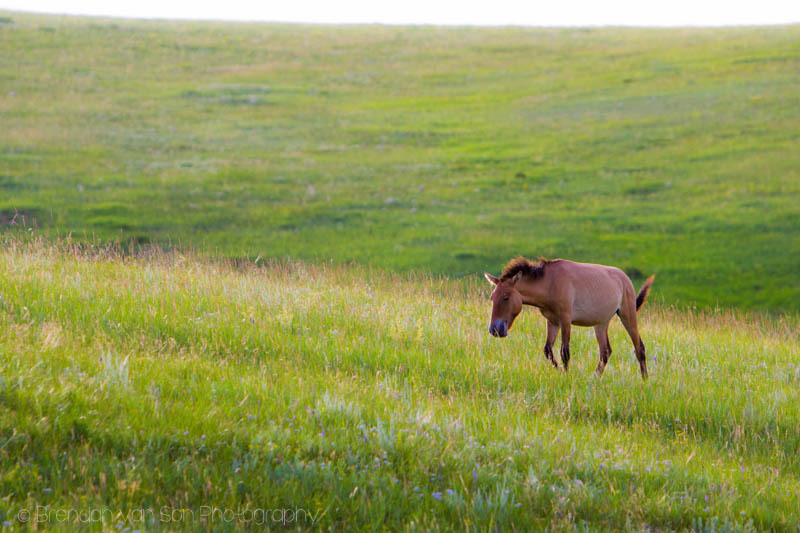 Maria, actually the wild horses can only be found in Hustai National Park. There are only about 300 of them. There are, however, giant herds of horses that seem wild, since they’re not in fences, but they are almost always owned by someone nearby. 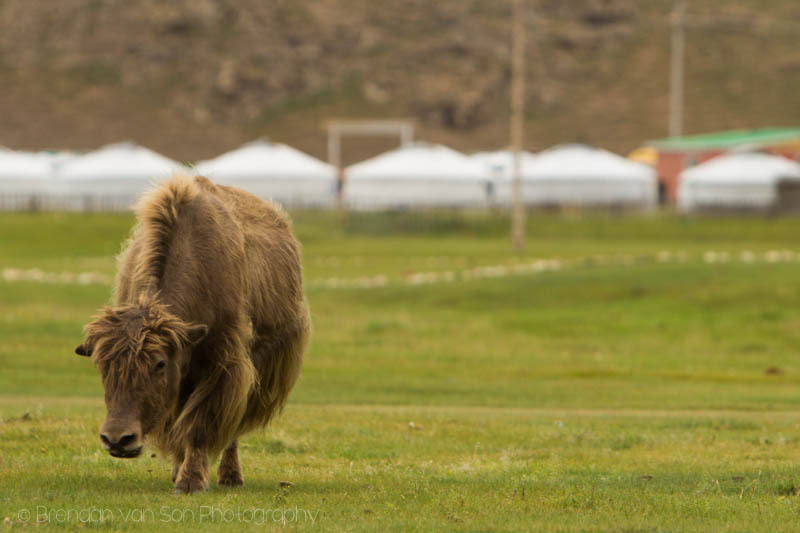 But, yeah, there are yaks and camels everywhere too! Thanks very much for your nice words as well! 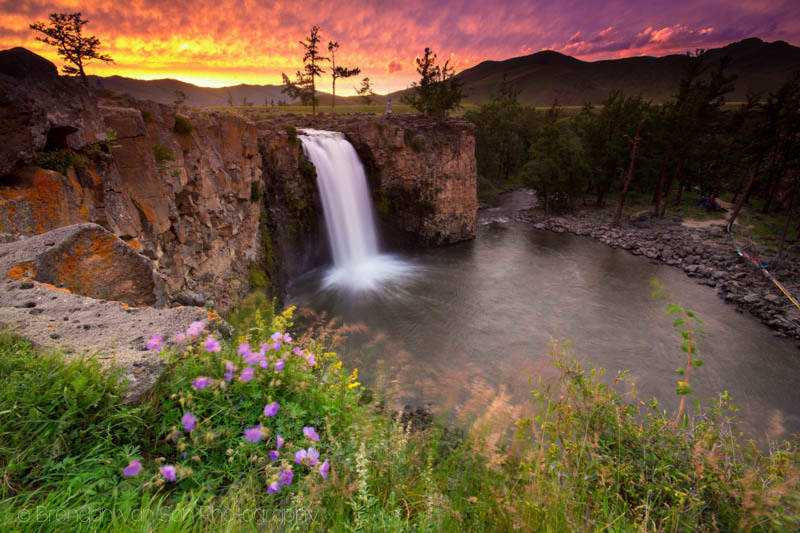 I wouldn’t mind watching this sunset day by day 🙂 Absolutely stunning landscape! Right? It’s such an amazing place. The work you did with the waterfalls is extra terrestrial.